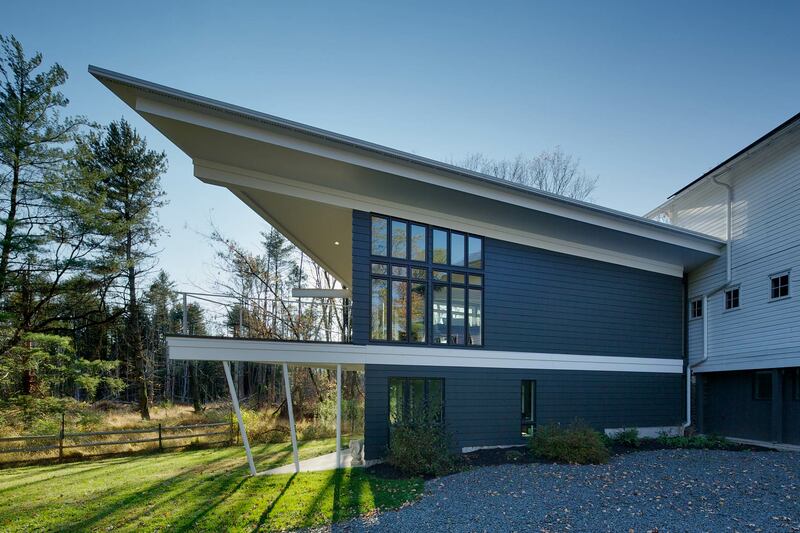 A sharply angled living space added to a pre-existing barn. Cherry Hill Road house. Princeton, NJ. Design Architect: Peter Bohlin, Bohlin Cywinski Jackson. Executive Architect: McAuliffe+Carroll Architects.